Hear the words 'meat substitute' and you'd be forgiven for imagining a crusty chickpea patty or a bag of limp soya mince. But there's a whole new breed of veggie burger out there, which looks like meat, tastes like meat and even bleeds like meat. In kitchens and laboratories around the world a new wave of 'plant butchers' are creating vegan-friendly chops, ribs and salami that would fool even the most hardened carnivore. Supposedly healthier, more sustainable and just as delicious as the real thing, this hyper-realistic mock meat will, in 2017, start to grace our dinner tables. Plant-based food designed to mimic meat is by no means a new phenomenon – tofu, often used by Western vegetarians instead of meat, was first created in the days of the Chinese Han dynasty – but the past few years has seen growing demand for these products. Driven by the rising cost of meat production, both financial and ecological, the global market for meat substitutes is expected to hit $5.2bn by 2020. Until recently the main characteristics that distinguished these substitutes from the genuine article were texture and appearance. In many ways these could be the final frontiers in transforming vehement meat-eaters to confirmed herbivores. In the past, no matter how expertly you roasted, griddled or stewed these spongy confections they never came away looking like meat, or feeling like it when you bit into them. But in the last year this has changed. A new process pioneered by startup Impossible Meats – which last year received the backing of Bill Gates and Google Ventures – recreates the appearance and chew of real meat by combining fibrous layers of wheat proteins and something called 'heme'. Heme is a molecule which is found naturally in both animals and plants and gives blood its colour. 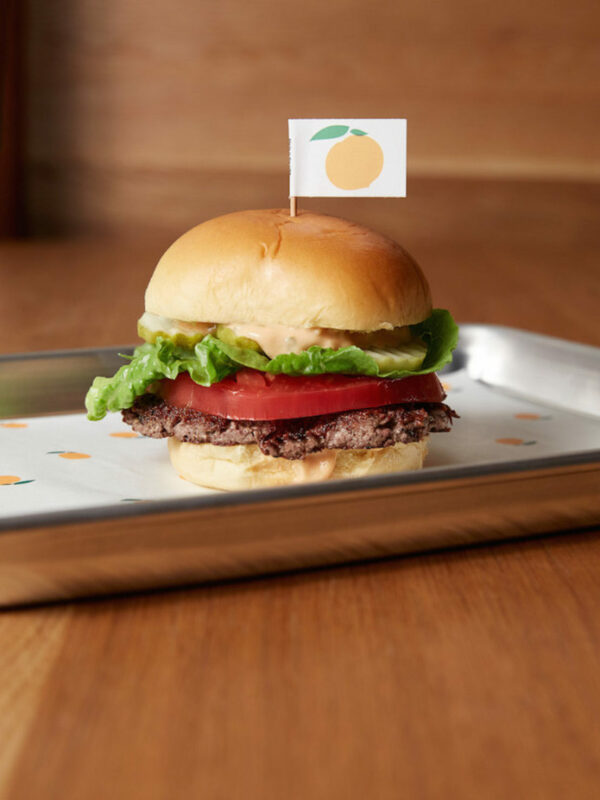 In the case of the Impossible Burger, which debuted last summer at a fashionable New York diner to rave reviews, it also gives it the pink hue and subtly metallic flavour of real minced beef. Other producers have been less molecular in their approach; smashing pulses and legumes to closely resemble air-dried charcuterie or using a squirt of bloody looking beetroot juice to help lend their creations the authentic look of a rare-cooked sirloin. In many ways the only thing separating them from traditional butchers has been the lack of a stained apron and the presence of an evangelical mission statement. Companies with names like Beyond Meat describe their products as the 'future of protein' while others implore you to 'eat no evil'. Despite the slight whiff of a Silicon Valley-esque saviour complex it's probably a good idea if more of us hold our noses and follow these credos, given the damage our meat addiction is doing to the planet and our health. In 2015 the WHO declared processed meat a Group 1 carcinogen, putting it on a par with tobacco smoke and asbestos. And it's known that consumption of red meat can increase the risk of a whole host of conditions including cancer and heart disease. Of course these risks can be mitigated by moderation, but the fact that meat consumption is growing globally doesn't point to much of an appetite for restraint. Surely rather than trying to hold back the tide, it would be easier to replace meat with a near identical but less potentially damaging substitute. Even if you largely avoid processed or red meat you can't escape the most terrifying health crises linked to intensive meat production. The widespread use of antibiotics in farm feed is one of the leading causes of the rise of drug-resistant superbugs. Antimicrobial Resistance, to give it its technical title, is a global catastrophe in waiting, which could cost up to 10 million lives a year by 2050 and threatens to drag medicine back to the pre-Fleming age. Perhaps the most compelling reason to switch to meat substitutes is that they could help to reduce the damage that intensive factory farming is doing to the environment. Around 18 per cent of greenhouse emissions are the result of livestock farming, more than the combined exhausts of every vehicle on earth. Amazon deforestation increased by nearly 30 per cent this year, largely due to the demand for space for animal agriculture. The resolution to a public health timebomb, the antibiotic apocalypse and looming ecological disaster? That’s a lot of hopes to pin on vegetables cleverly disguised as sausages, you might say. But a serious reduction in meat consumption could mean that we have a fighting chance to tackle these problems. However, for plant butchery to move from a foodie trend to something with the potential for serious global impact, it needs to be available to everyone, regardless of their budget. Currently the price of these plant-based meats is at least as high as that of their animal-derived counterparts – a box from the Herbivorous Butcher containing a gourmet selection of vegan steaks and chorizos will set you back more than £100 – but with sufficient demand the cost could absolutely be brought down. Certainly it is cheaper to reproduce the raw plant material than it is to breed livestock, with a calorie of animal protein requiring 11 times more fossil fuel to produce than a calorie of wheat protein. If supermarkets can engage in price wars over 'rare' luxury foods like lobster, wagyu beef and iberico ham then they can work to bring top-quality meat substitutes to chiller cabinets too. In the UK there's a growing customer base. Quorn has reported that sales have increased by a fifth since 2013, and consumer data points to 20 per cent of people eating less meat than a year ago. The time is ripe for authentically fake meat products to hit the shelves. For the time being it's the much-maligned hipster foodies who are blazing a trail for mock meat in the UK. Next year those looking for a flesh-free fast food fix can indulge their cravings at restaurants serving faux fried chicken and meatless doner kebabs, both based in one of east London's trendier enclaves. As we gather our loved ones close for a few days or weeks of seasonal indulgence, it seems like the ideal time to reflect on whether meat needs to be such a prominent feature of our festive feasts. Maybe the centrepiece of next year's Christmas dinner could be a succulent and delicious roast ingeniously crafted by a plant butcher. Why not? Nobody really likes turkey anyway.